From 2013 to 2016 we ran the Bitesize Irish Gaelic Podcast. The format of the online show focused on interviewing really interesting people who were passionate about the Irish Gaelic language or Ireland’s culture & history. In the beginning of 2016 we decided to stop publishing new Podcast episodes because it wasn’t a sustainable process for us. Since 2016 to 2018 we ran Podcast re-runs which were rebroadcasts for people who never heard of the Bitesize Irish Gaelic Podcast or for people who loved to relisten to the older episodes. 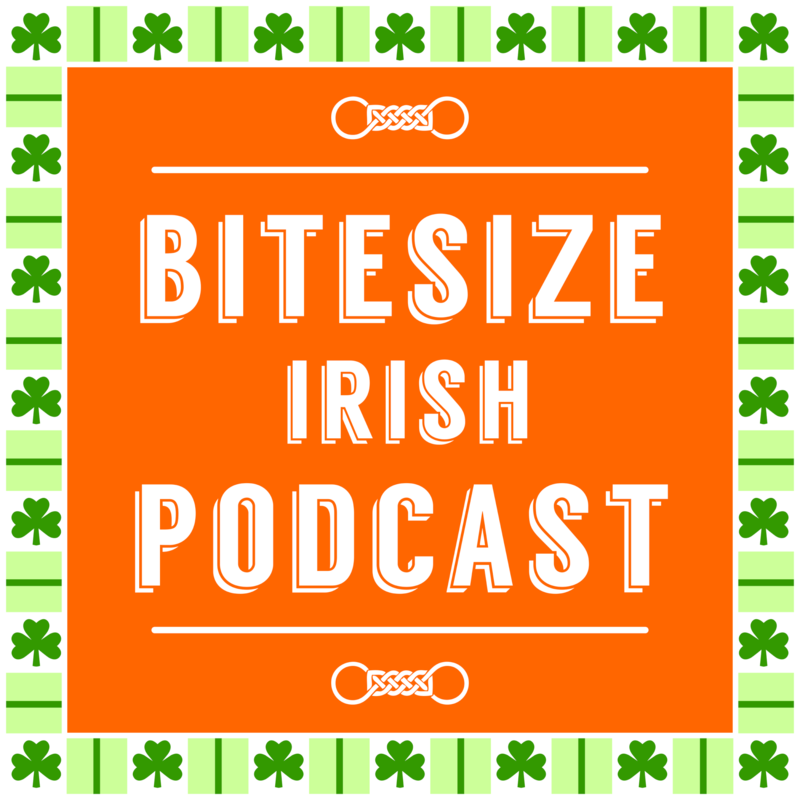 Today, we’re happy to announce that we’re relaunching the Bitesize Irish Gaelic Podcast! A few weeks ago we asked you, during an experimental Podcast episode, if you wanted us to restart the Podcast, and the feedback we got was really positive – many of you wrote us emails, left comments, and sent us voice messages to do it. 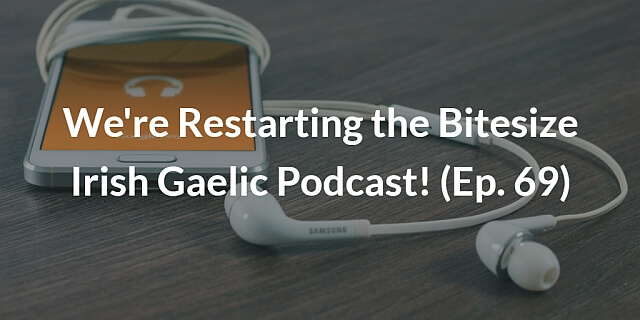 Consider this the restart of the Bitesize Irish Gaelic Podcast. We’re following a new format that will answer more questions and give you the opportunity to learn more about the Irish Gaelic language, Ireland’s culture & history. We would like to thank Tina, Randy & William for sharing their positive feedback on the Podcast, you can listen to this at the end of the current episode.